The wreckage of a United States military helicopter has been found several days after it went missing during earthquake-relief operations in Nepal. Six US Marines and two Nepali soldiers were on board. "It was a very severe crash. We believe there were no survivors," said John Wissler, a Marine lieutenant general. Here is an open letter to the US Marines, stating what I believe the people of Nepal have for them in their hearts. 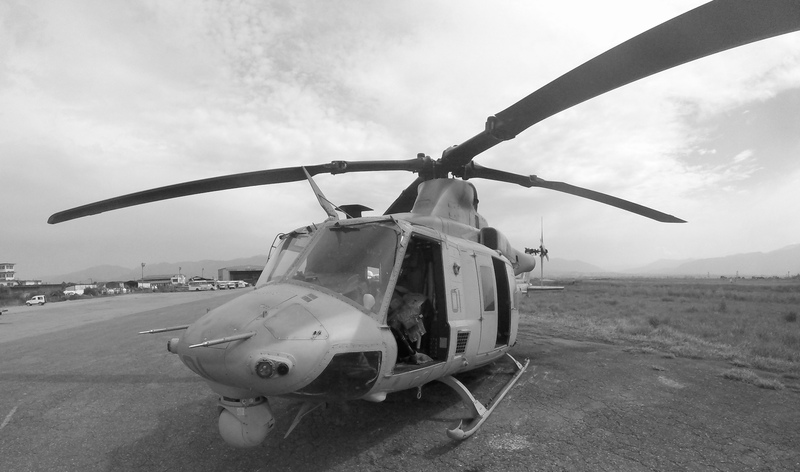 We are deeply saddened to hear about the loss of six Marines in the UH-1Y Huey helicopter crash this week. You and your fellow Marine brothers and sisters came to us at a time when we were down. We, as Nepalis, are mourning the loss of thousands of our people, coming to terms with our centuries-old historical monuments turning to dust and trying to cope with earthquake PTSD. We are really grateful to you for standing with us at a difficult hour. As you mourn, honour and remember the lives of six of the finest warriors in the world. Please know that we mourn, honour and salute them too. We stand with the six Devil Dogs that were taken away from us all much too soon. Thank you for what you do, and sacrificing so much for your own country and for us with Operation Sahayogi Haat in Nepal. This letter was written by Amrit Sharma, and originally appeared on his personal blog.